Joel is a full service Real Estate Professional and will help you in both your residential and commercial needs. He prides himself on providing the highest level of customer service possible. Joel will work tirelessly to ensure that your transaction goes through as smoothly as possible with minimal stress to you, the client. He approaches each client’s individual needs as if they were his own, guiding them to make the most informed decisions possible. Born and raised in Brooklyn, N.Y., Joel knows has an incredible knowledge of New York City and the outer boroughs. He also owned his own chauffeured services business, giving him even more insight into the different neighborhoods throughout the city and what they have to offer. 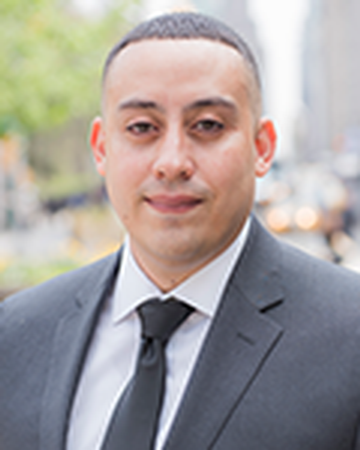 Joel graduated LaGuardia Community College with an associate degree in applied Science of Business Management. He is a Licensed Real Estate Salesperson and a member of the Real Estate Board of New York. Joel currently resides in East Harlem and is a father of 2 (twin boys) and soon to be 3 (a baby girl).